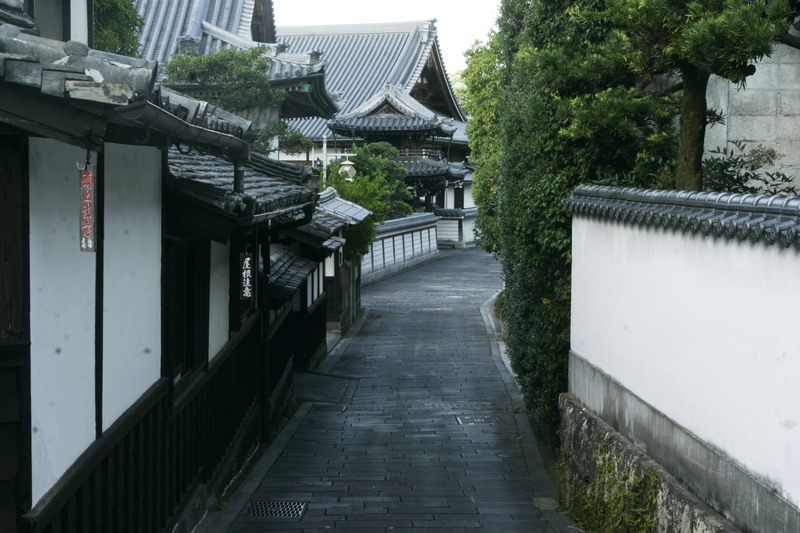 HOME > Explore Japan Locals > The secret of Usuki is History! 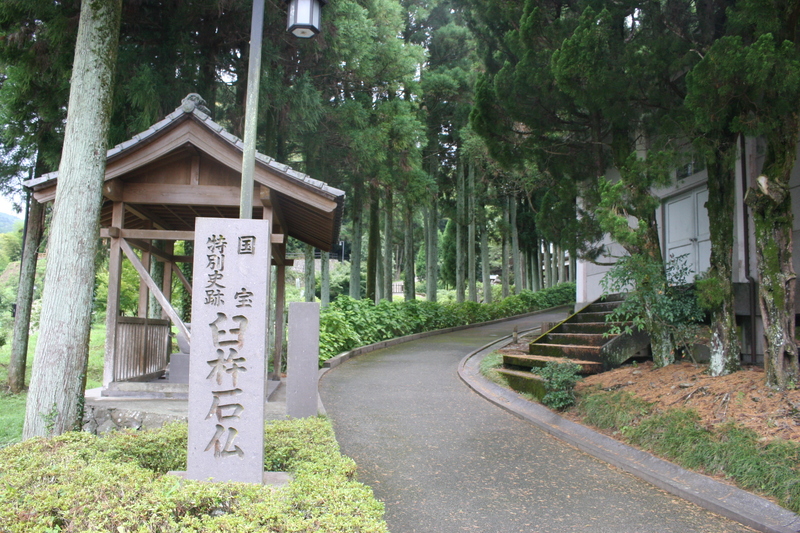 The secret of Usuki is History! What is so cool about Usuki? Just as the title goes, the secret of Usuki is history. I completely agree with that because the whole town is basically an incredibly well preserved historical site. 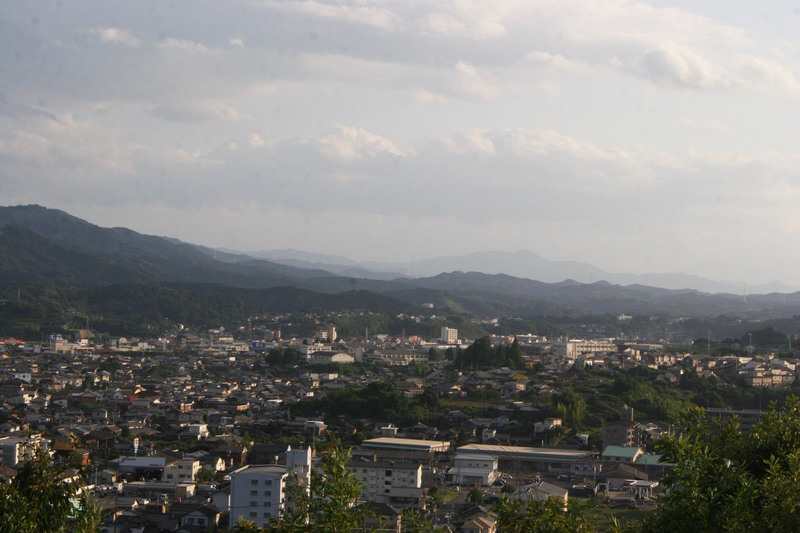 Usuki is a relatively large city located on the east coast of Oita. 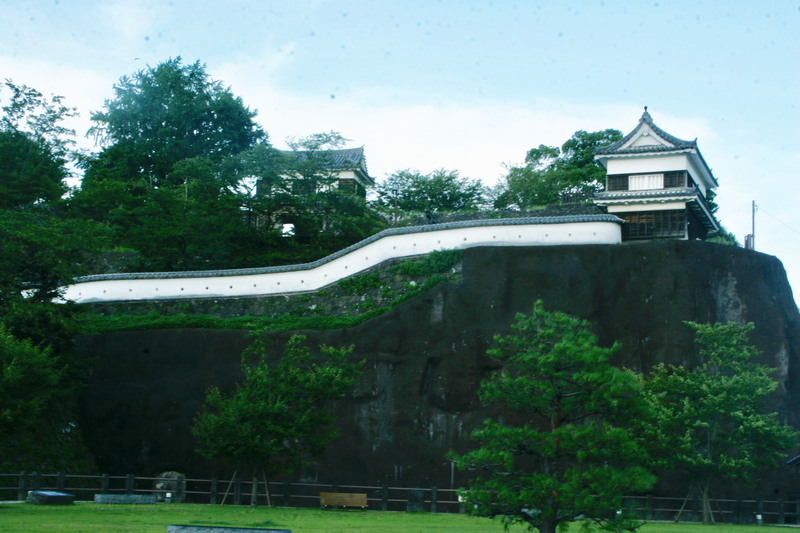 The city is known as what is called a “Castle Town” meaning a town was build around the castle of a feudal lord. 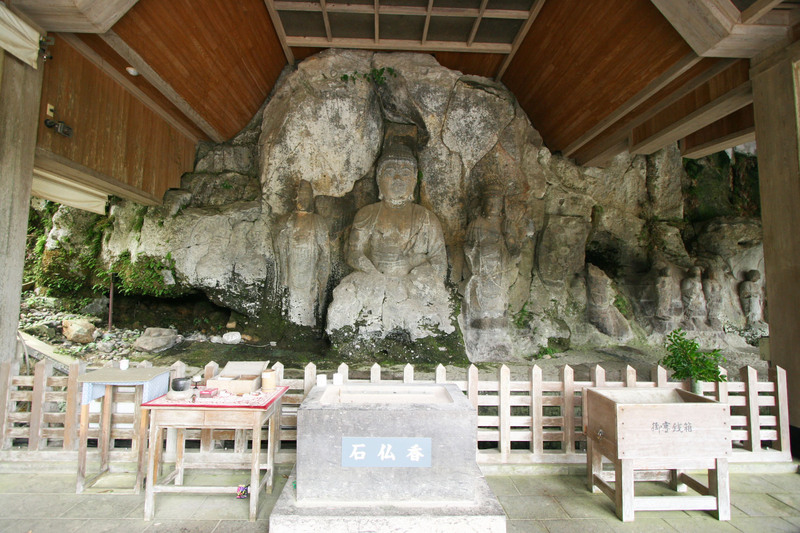 Usuki is famous for its delicious Soy Sauce and very old Buddha Statues. If you like history, here are some places I recommend you visit. This is THE PLACE for a history lover! 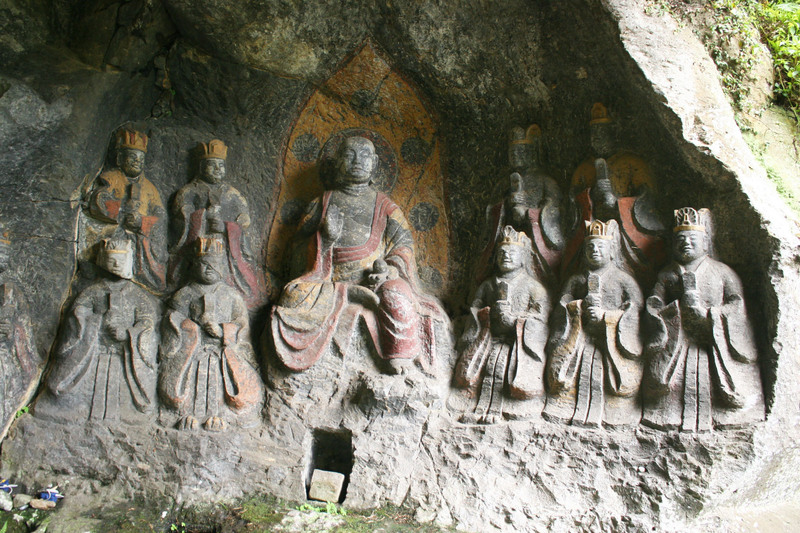 The Stone buddhas are a collection of statues that are made from hardened volcano ash. 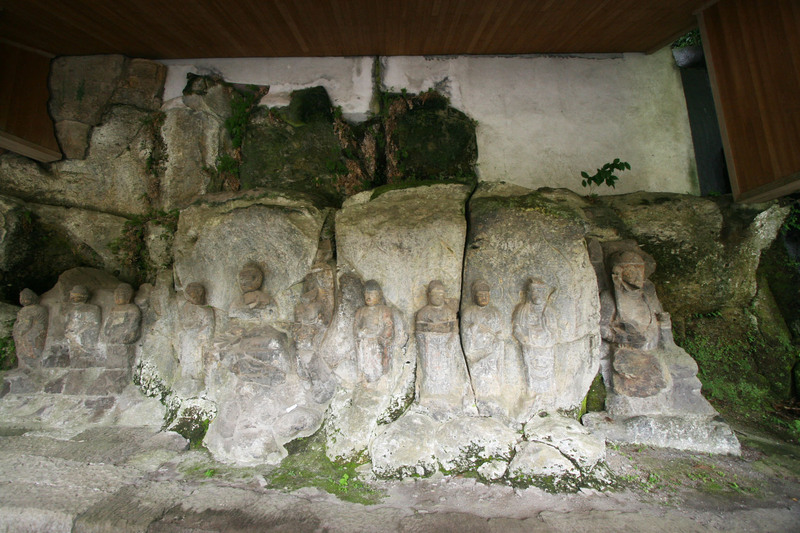 It is said the statues were made in the Heian(794~1185) and Kamakura (1185~1333) era. Unfortunately, we don’t exactly know when or why they were made, but we do know they are old enough to be designated as a national treasure! They are beautifully carved statues that were preserved really well. You can even see some paint left on a few them! Once you are done looking at the statues, you can make your way down to the park were you can view the beautiful Lotus Flowers which are in bloom from Mid July till Mid August. 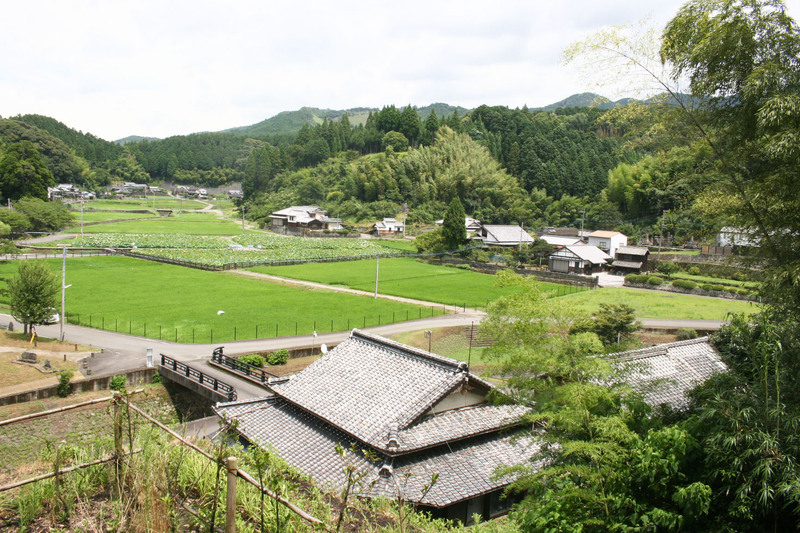 There are also a couple of temples and gorgeous rice fields you can visit as well! In the heart of the city lies a small, yet very classic Japanese soy sauce shop. 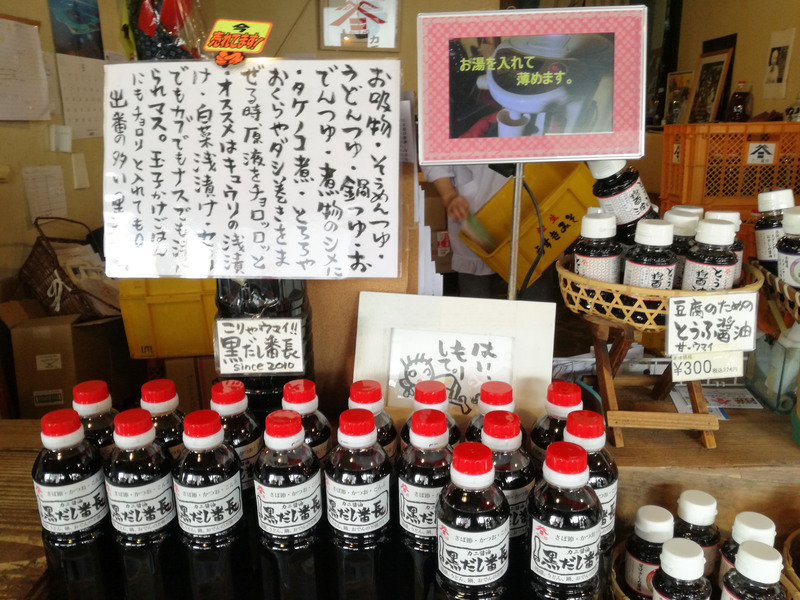 It is called “Kagiya”and it sells some of the most delicious soy sauce in all of Usuki. Kagiya was built in the year 1600. The building is in the exact spot it used to be and still has a couple of interesting knick-knacks left from the time it was built. 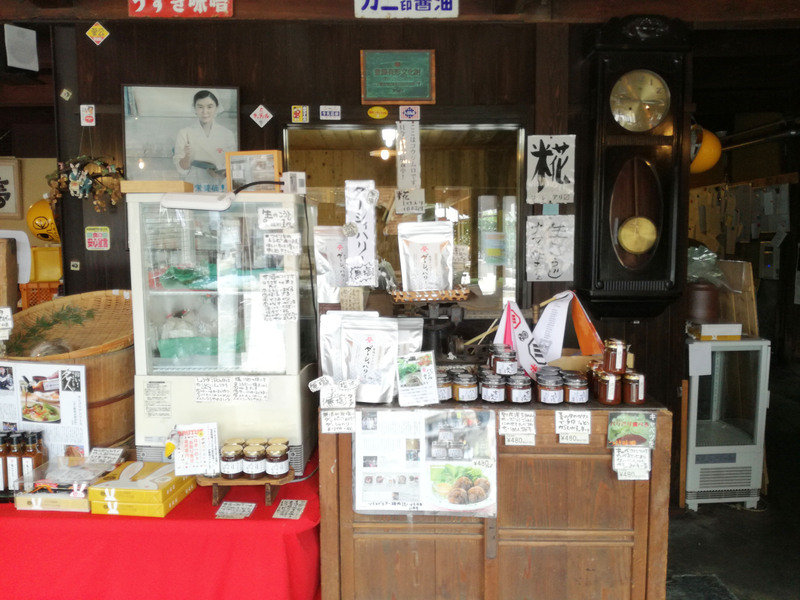 The shop focuses on Soy Sauce and Miso. They keep to tradition and make it just like they did back in the 1600’s. Of course the shop has evolved a little bit, to the point where they now　serve food. I recommend you go early! They stop serving after lunch. The shop has　continued to impress us with it’s amazing creations with the use of their products. One of the most popular, most interesting products they’ve managed to create is…. 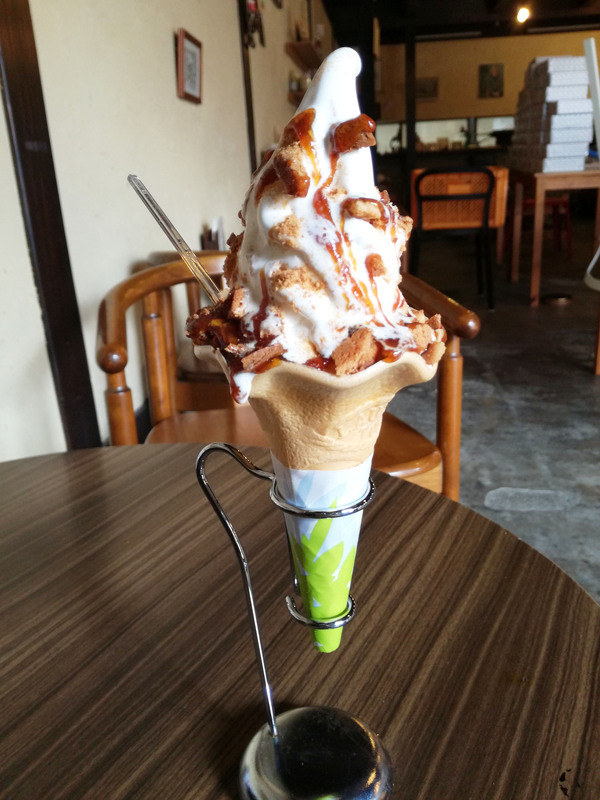 Miso Soft Serve Ice Cream! This was the most amazing ice cream I have ever tasted! As you can tell, it’s not your everyday ice cream. This godly creation is topped with tiny bits of miso crackers, their homemade special miso sauce and miso powder. Kagiya is a place you should visit even if you don’t like ice cream! It has history, amazing food, and a wonderful staff willing to help you out. One way to get around town is by foot. Of course this is a great way to exercise and see the town, but it might take you a while. Don’t worry about that because the Tourist Information Center has set up something just for people like you! 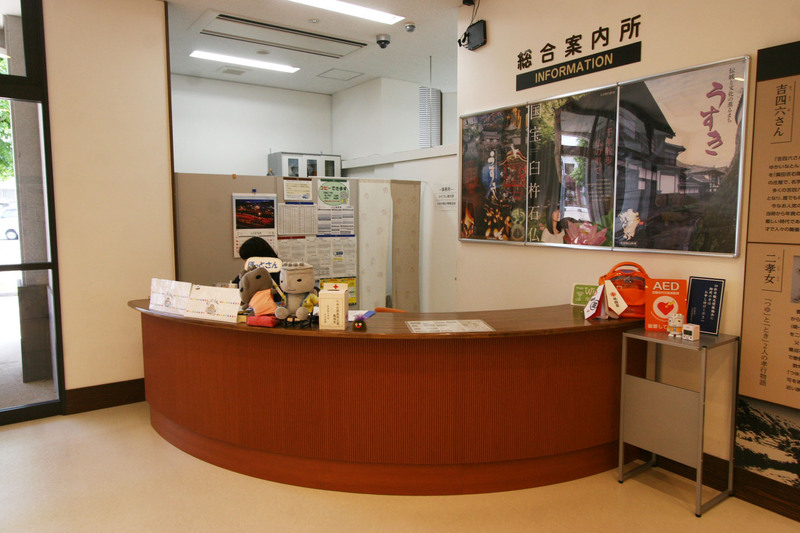 If you make your way to the middle of the city, you will find the Tourist Information Center. 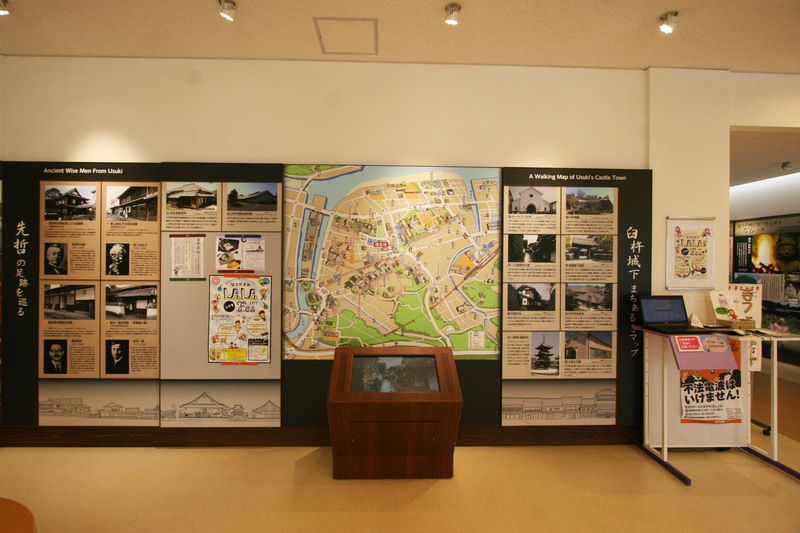 There, they offer all the information you could possibly need to learn about the history of Usuki. But thats not all…. 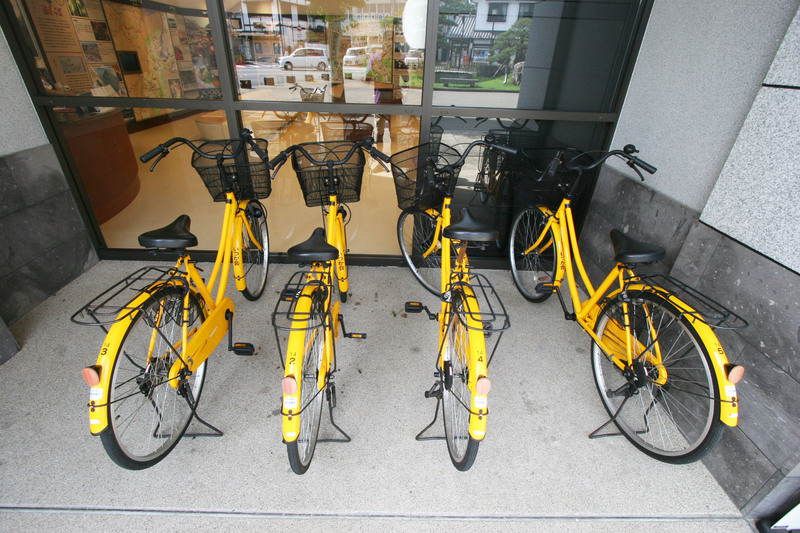 they also provide free rental bikes!!! Can you believe it? FREE BIKES! They have electric ones that cost a little bit of money. 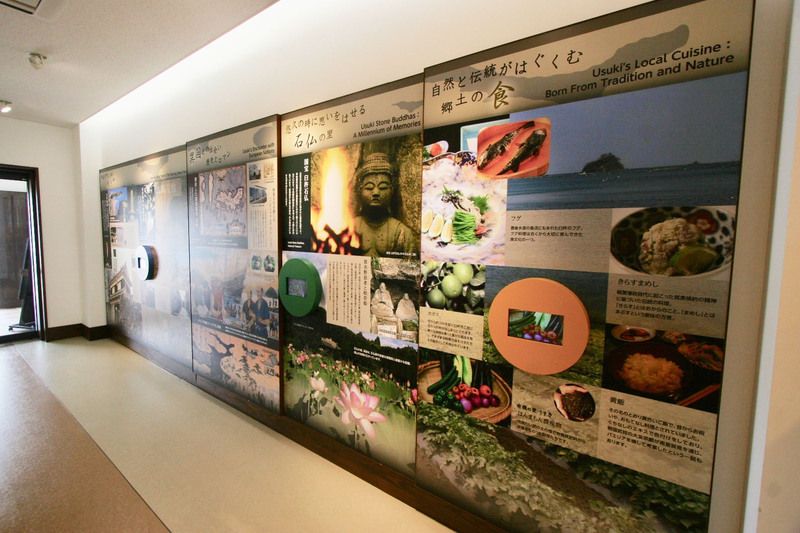 The best part is, you can use it as long as you like (The Tourist Information Center is open from 9AM to 6PM. You have to return it before they close). This is a great way to get around town because you can exercise. It is a incredibly fast type of transportation. It’s also a ton of fun to bike around a city deeply rooted in rich culture and unique history. There is one more important thing I want to mention. Usuki is a incredibly easy city to access! 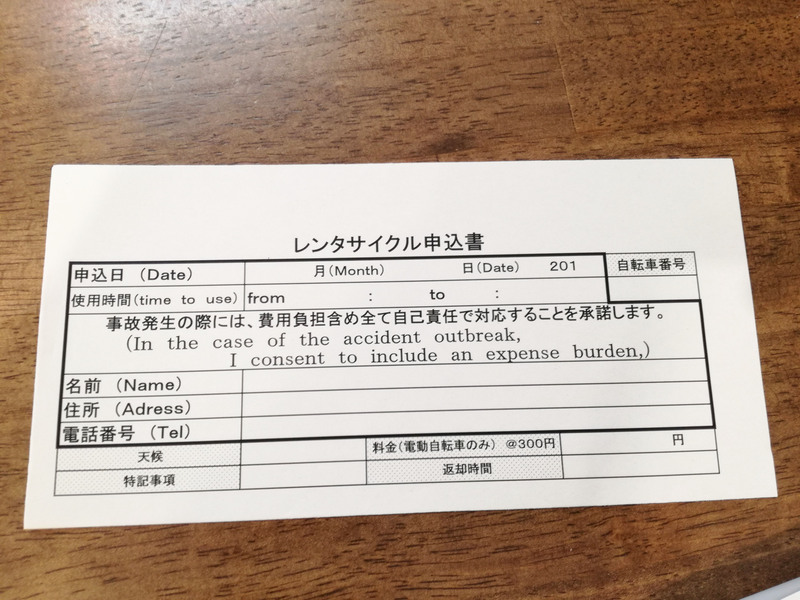 There are several trains you can take to Usuki for a reasonable price. You can take the bullet train from Tokyo, Osaka and Fukuoka to the northern part of Kyushu. There, you transfer to a train called “Sonic” and ride into Oita City while enjoying the beauty of the countryside. 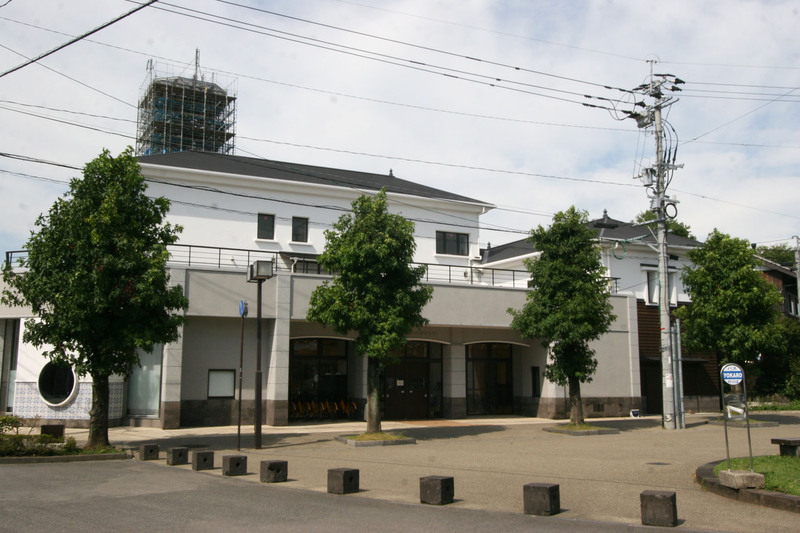 Once you arrive in the city, you can take a train that goes straight to Usuki. It is a very enjoyable ride! If you are not much of a train person, you can take a plane from Tokyo to Oita. A bus takes you straight from the airport to the city. 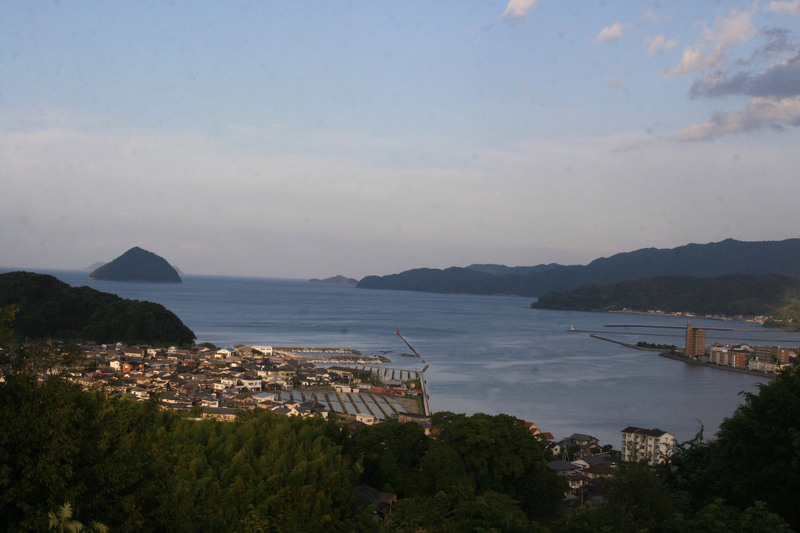 Once you’re there, you can take a bus straight to Usuki. 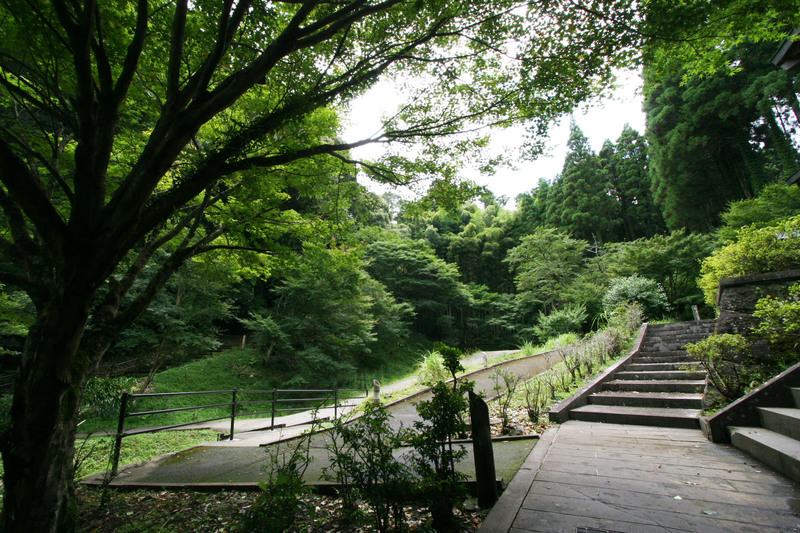 Because Usuki is so beautifully preserved, there are many historic sites you can visit during your bicycle journey. It’s the perfect way to travel! 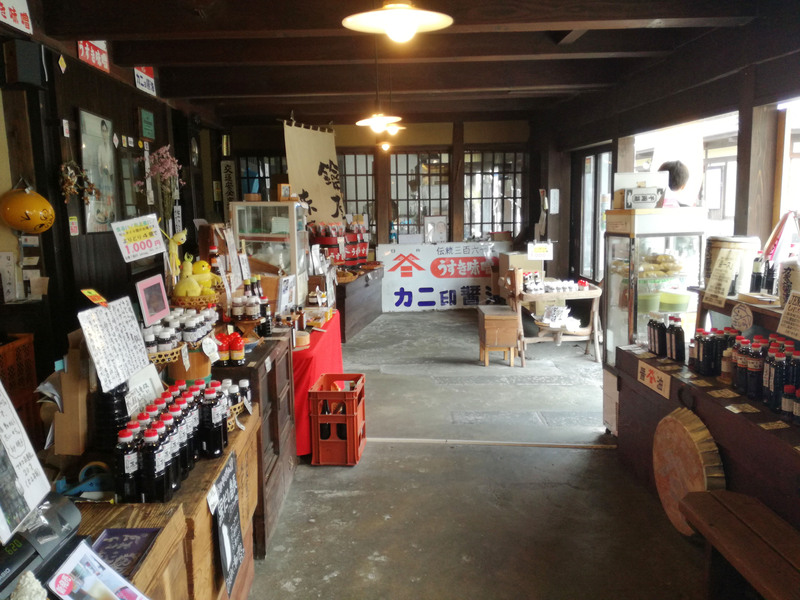 Usuki has many old buildings that are kept in good shape, delicious food and a beautiful townscape that you can explore to your hearts content with a rental bicycle. If you plan on coming to Oita, you should defiantly check out Usuki during your stay.